I know who my family is. They are the people that mean the most to me. My whole life I’ve only known half of my family. My parents have came from two different countries. My dad came from Cuba and my mom came from Uruguay. They both have told me so many stories about my family. Most of my family still live in those countries and I have wanted to meet them. I would like to take a trip this winter to meet my family. December 8th to January 8th. I plan on going on this pilgrimage with my mom and sister. This trip will be this December, but it will be summer time down there. They do speak Spanish so my mom will speak for my sister and I. Plane tickets for us three and to rent a car is a total of $3,500. When we get there, we will be stay with different family members. 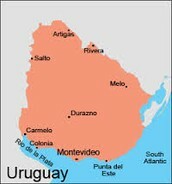 Southeastern region of South America. "The Hand Sculpture, Punta Del Este." 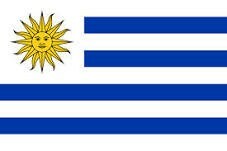 Welcome Uruguay. N.p., n.d. Web. 12 Nov. 2014. "MCI to MVD Flights | Travelocity." MCI to MVD Flights | Travelocity. N.p., n.d. Web. 10 Nov. 2014. 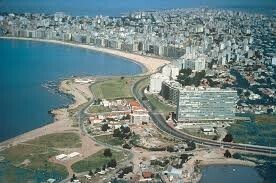 "Uruguay - Montevideo,Bus Tour - South America Part 28 - Travel Video HD." YouTube. YouTube, n.d. Web. 13 Nov. 2014.